With a powerful, spare, and comprehensive account of what it means to and for modern humans, Gasset and his book of essays justifies it’s seed as perhaps the best book on hunting yet written. He portrays hunting as both an essential and a decadent pursuit, one which in the modern world is never necessary and always close to our ancestral hearts. Gasset is important, and his book well worth reading, because he shows how the difficulty of hunting is central to its vitality. And an alternate way of formulating difficulty in modern hunting is why the concept of trophy country is worth talking about. In many ways, we are currently living in a golden age of hunting. We do not have the (relatively) undisturbed herds Lewis and Clark found in the early 19th century, but neither do we have the severely depopulated herds of the early 20th century. While species like Mule Deer are suffering due to habitat fragmentation, thanks to agriculture Whitetails might be more numerous now than at any time ever, and for the same reason elk my be as large or larger, if not more numerous, than ever before. This is something I consider a dirty secret of hunting, that the best hunting insofar as best is defined as either larger or more numerous is to be found on the edges of civilization, rather than deep in wilder areas. This is important for many dedicated hunters because of trophy hunting potential. Trophy hunting, defined as the specific pursuit of larger critters, is important in modern hunting because as Gasset tells us challenge is a prerequisite to relevance. 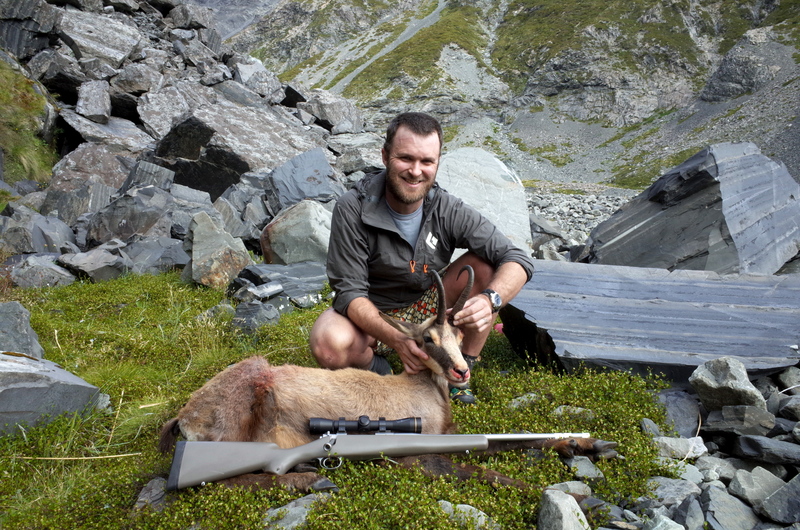 Hunting can be plenty tough, even with dense populations and a rifle, as I found this past fall, but in most places in the world tags are a limited commodity. Hunters understandably want to maximize their experience, and the most efficient way to do that is to pursue a rarefied and more challenging subset of the species. Trophy country, a phrase I first heard here, is in my formulation an alternate way to refine challenge into hunting. Rather than saying I want to hunt a deer or elk of a certain size and selecting an area or unit based on that, select an area and hunt the deer, elk, or bear there and only there. This can be plenty tough, and the appeal is to me obvious. Rather than hunting a whitetail here in the Flathead valley, where there are many deer hiding in the woods and eating crops, hunt whitetails in the upper South Fork Flathead valley, where whitetails never eat anything other than indigenous plants and limit their interactions with humans to looking at hikers and hunters. The end I’d like to cultivate with the idea of trophy country is a list of great destination hunts across North America. My own small version has started with shooting a whitetail, mulie, elk, black bear, and mountain goat all within the Bob Marshall complex (2 for 5 thus far). The unlimited bighorn sheep units in Montana would certainly qualify, both because they’re over the counter tags and because they’re gorgeous places to be. In the realm of small game, Dusky Grouse in the sub-alpine zones of the northern Rockies would make the list, as would the introduced Himalayan Snowcock in the Ruby Mountains of Nevada. It will be a while until I can present a good list, but I look forward to the process. I’m still learning, but to me it seems like a dirty secret just how much being on the margins of civilization correlates with being “good” elk or whitetail country. Of all the primo elk units in Montana, for example, the only one which doesn’t contain a bunch of private farm/ranchland is the one which abuts the NW corner of Yellowstone. Maybe this helps explain the fetishization of sheep and mule deer, as they’re less tolerant of habitat disturbance.